As the House Appropriations Committee inched closer to signing off on next year's state budget, nearly two dozen left-leaning lawmakers threatened Thursday to vote against it. In a letter to House Speaker Shap Smith (D-Morristown), 23 members of the Working Vermonters Caucus said they were "unable to support a budget that includes drastic cuts, reductions in work force, and new revenue of only $35 million." The four-sentence letter was light on details: It did not specify what level of cuts its signatories would accept, nor what taxes they hoped to raise. But according to Rep. Susan Hatch Davis (P-Washington), who co-chairs the caucus, she and her colleagues were united in the belief that "austerity measures are not working for us." 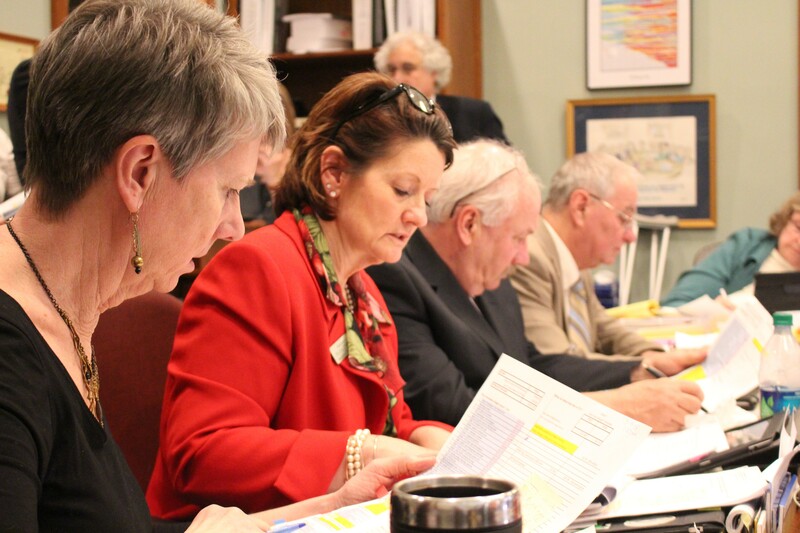 Appropriations committee members spent much of Thursday combing through the budget in search of savings and debating which programs might be spared. Under the current framework, House leaders expect to fill the $113 million budget gap with close to $37 million in new revenue, $21 million in one-time funding and nearly $56 million in cuts, though those numbers continue to fluctuate. Liberals were not the only ones to express dissatisfaction with that mix. Rep. Bob Bancroft (R-Westford) and 21 other Republicans introduced a resolution Thursday calling on the legislature to level-fund the budget, add "no new state programs" and eliminate one state job for every new job created. "We have been very concerned this whole session about the spending," explained House Minority Leader Don Turner (R-Milton), who signed Bancroft's letter. "We heard a very loud and clear message from Vermonters that they want to rein in spending." Turner indicated that many of the House's 53 Republicans were preparing to vote against the budget. "If there's new revenue, there's going to be a lot of opposition," he said. That could prove problematic to Smith and his fellow Democrats, who must find a majority of the House's 150 members to support the budget. If every Republican and every Working Vermonters Caucus member who signed the letter were to vote against the budget, it would narrowly fail. "I think this is going to be a very delicate balance," the speaker acknowledged. "I think we're at the point where we can maintain the balance. I think either direction starts to create some problems for us in moving the budget forward." It's unclear how far liberals will go in making their demands. 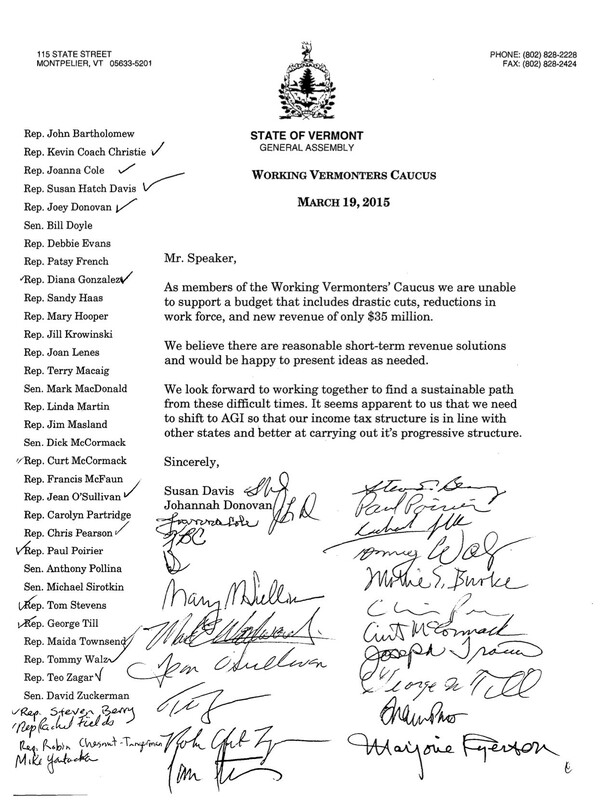 Rep. Joey Donovan (D-Burlington), who co-chairs the Working Vermonters Caucus, framed the letter as "very respectful" and "a polite request for greater consideration to raise more revenue and to cut back on some of the cuts." Donovan, ranking member of the House Ways and Means Committee, said she was moved by the roughly 200 people, many disabled, who spent Wednesday lobbying against reductions to programs that serve them. 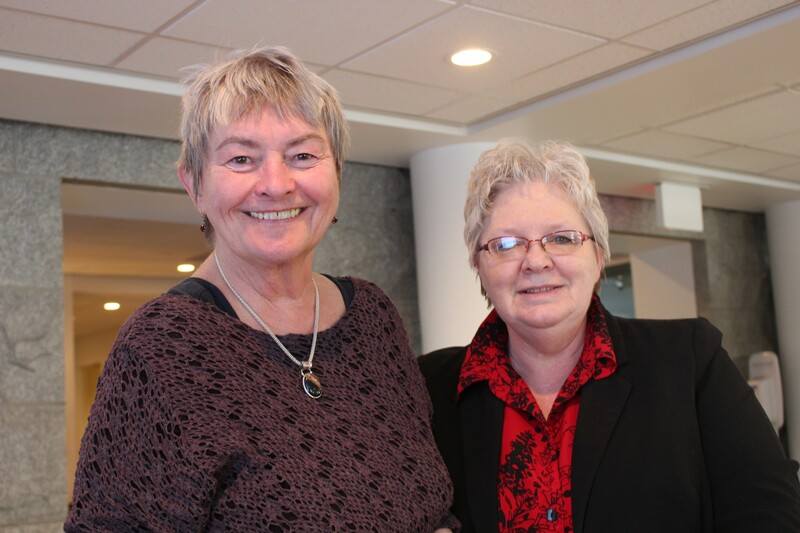 "It's very powerful when you are seeing people with mobility issues, some cognitive issues, all sorts of things, and to know that they have sustained cuts for seven consecutive years," she said. "We seem to be reluctant to perhaps ask more of people who have more." Members of the appropriations committee on Thursday assembled a "wish list" of programs they hope to fund if they can find the money to do so. Those include home heating assistance, Reach Up welfare benefits and the Vermont Veterans' Home. But even without including those and other wish list items in the budget, the committee still found itself $1.9 million short by the end of the day. "I think the most important thing this afternoon was that the whole committee and many other people in the room got a really strong sense of what it will take to close the gap," said Rep. Mitzi Johnson (D-Grand Isle), who chairs the committee. She plans to testify before the Ways and Means Committee Friday morning on what she calls "the Goldilocks question," or whether the House should raise more or less in revenue than the roughly $35 million it has been considering. "I think we're really threading a really fine line here, because it is such a difficult budget," Johnson said. "There are folks on one side saying, 'We can't make all these cuts. We really need more revenue.' And folks on the other end of the political spectrum saying, 'Too much revenue, not enough cuts.'"